Note this list has been recently updated. I've removed a few of the headphones that didn't have aptX low-latency and have added a few new players! Getting a set of wireless headphones for TV can be a life-changer for some people. Whether you are buying for someone with hearing loss or want a pair so your partner can have some quite time, there is a set of headphones for you. There are some key issues you need to be aware of so you don't end up spending your hard earned money on something you just set aside. Being aware of these key issues will help you avoid the mistake many people make when buying what they think are the best wireless headphones for TV. 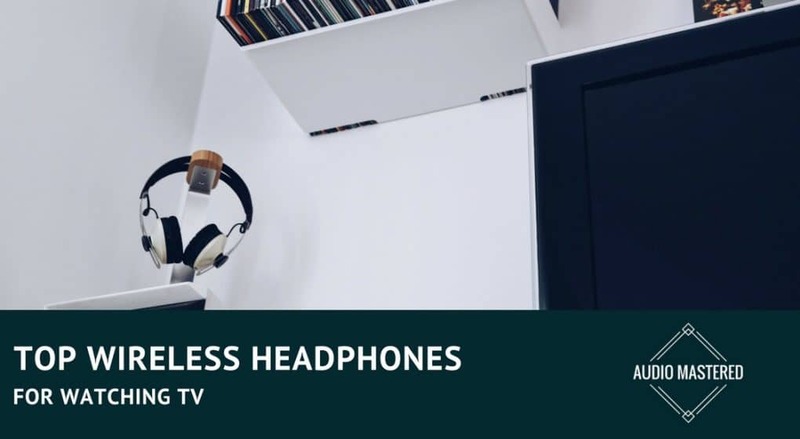 We'll quickly cover the key issues and then provide you with our reviews of what we consider the best wireless headphones for TV. We've written this article to be as technology-friendly as possible. If you don't have a strong tech background there is nothing to fear. Picking your wireless headphone doesn't have to be complicated. Let's get started! There are three main issues you need to consider when selecting your TV specific headphone. While sound quality is still important, it won't be as important as headphones you use to listen to your favorite hi-fi music. Instead, you should be focusing on latency, comfort, and sound leakage. Let's go through them one by one. Latency describes the period of time from transmission to your ears picking it up. If the latency is too large, you will start to see the lips moving out of sync with the sound. This can ruin any TV watching experience. There are two ways to avoid this: Radio Frequency (RF) transmission and aptX Codec Bluetooth transmission. aptX is an advanced audio compression algorithm. The technology is used in the signal conversion process and is done in hardware, as opposed to software. Note that aptX must be incorporated in both sender and receiver to obtain the enhanced sound quality effect. We need to be looking for a transmission device that can output at a rate that results in a latency under 35ms. RF transmission has very little latency issues, whereas regular Bluetooth headsets that don't support low latency aptX will be a terrible listening experience. Most RF headphone sets come with an RF transmitter. However, Bluetooth headsets will require a Bluetooth transmitter. Make sure both your Bluetooth headset and transmitter both support low latency aptX codec. Here's a great demo of low latency aptX codec. The alternative to Bluetooth transmission is RF transmission (or radio frequency). Until recently, this has been the most popular way to transmit audio to headphones for TV. The reason being, RF transmission usually has a latency under 5 ms. Historically, this has been difficult to achieve for Bluetooth transmitters. The other major benefit of RF headphones is range. 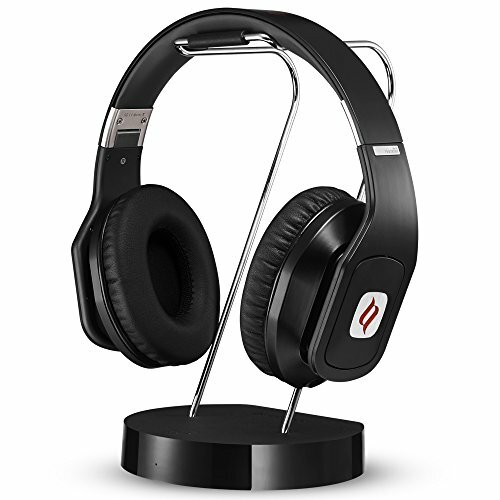 RF headphones typically have a range of 300 ft, whereas some Bluetooth transmitters are limited to under 50 ft. The only downside is you require a large RF transmitter to get the job done. Bluetooth transmitters are typically much smaller and won't take up much space around your T.V. The padding should be thick and the headphones should be lightweight. Additionally, they must be over-ear headphones. On-ear headphones tend to be much less comfortable as they require more pressure to get adequate sound isolation. There will be a balance between comfort and sound isolation. More sound isolation usually requires a tighter squeeze, which can be very uncomfortable to wear for long periods of time. I know it can be difficult to judge the fit of headphones from an online review, but if you spend a few moments to read the reviews on Amazon you should get a sense of how they fit. This is important for those who want to give those around them some peace and quite. While no headphone is perfect, there are a few things you can look for to minimize any sound coming from the headphone. Firstly, they need to be closed-back headphones (most are). Secondly, the should be over-ear headphones. This will help increase comfort and minimize any sound leakage. The sound quality should also be taken into consideration. If you are wanting to watch action movies, the bass heavy headphones will suit you the best. All of the headphones on our list will have great sound qualities for watching TV. The signal transmission also comes into play here. RF headphones hold up well enough against their Bluetooth counterparts. The best way to judge sound quality is through price. With headphones, you really get what you pay for. If you are just planning on watching shows that are dialogue driven, you won't need high-definition headphones and can probably get away with a pair around $50. However, if you plan on watching any action shows, you'll want a good set of headphones (think over $100). Another feature you may want to consider is surround sound. A few of the premium headphones offer this feature which can make the listening experience much more enjoyable. A great consideration for anyone wanting to watch action movies. Finally, you can also consider battery life. There is a wide range of battery life in headphones (from 6 hours to 40). This will depend on your personal TV habits. If you usually watch for over 6 hours then you'll need to upgrade your headphones. Keep in mind that these headphones usually take around 3 hours to fully charge. The premium headphone on our list. 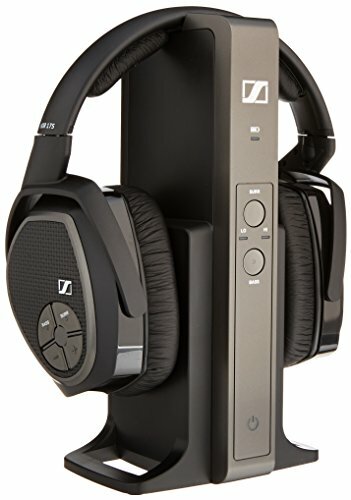 The Sennheiser RS 175 RF Wireless Headphone System. If you want the best on the market, these are them. They pack in a ton of additional features you won't find on other headphones. They also have the best overall sound quality. If you are concerned with hearing your TV in the highest fidelity possible, these will get you there. The are one of the most comfortable headphones on our list with an over-ear, closed-back design. The may be interested in the virtual surround sound and bass boost if you are using them to watch movies. They have a 330 foot (light of sight) range and will be recharged on the transmission dock. Bottom Line: Overall a great premium headphone. We still think you will be better suited with the RS120 if you aren't willing to shell out for a premium headphone. The best Bluetooth option on my list. If you are looking for something that can transmit HD sound quality with very low latency, these are your headphones. The best part is, they are under $80. Amazing value for your dollar. Make sure you get the headphones in the picture above! The cheaper model does not have low-latency aptX! You'll get everything you'd want in a headphone for T.V. - low latency aptX, super lightweight, 40 hour battery life, and a 2-year warranty. Unfortunately, you don't get surround sound. Which could be a good reason for someone to choose the Sennheiser over the Avantree. You also will need to purchase a Bluetooth transmitter (add at least $40 to the price tag). Bottom Line: Overall a great premium headphone. Make sure you get the headphone in the picture above (not the cheaper model). Another really great option. Checks off a lot of the boxes we're looking for in good headphones for TV. Just one note right off the bat, if you are looking for something that will accept optical output you need to purchase the base. The link below will take you to the exact product you'll need. If you are using AUX or RCA output you'll be fine. You're getting up to 50 hours of battery life with these headphones. That's more than double that of the best Bluetooth headphones for TV. You are also getting full surround sound, a must have option for anyone looking to watch movies. The digital conversion of the RF frequencies mean there is no frequency adjustment needed. Bottom Line: A great option for you to consider if you're not happy with the Sennheiser price. Allows you to privately enjoy any TV program without disturbing others. The digital wireless technology provides resistance to RF interference and very little perceived static. A budget friendly option for those who like the idea of using RF to transmit their audio. You get the standard range of 100 ft. Much more than the typical Bluetooth transmitter. You'll even get up to 30 ft through walls. The ear pads aren't velour, but they are a soft fabric that will get the job done. The battery life with these headphones is 20 hours. That's enough battery to last all day with a battery charge through the night. You have the option to plug the RF transmitter into a AUX or RCA output. Note that this transmitter does NOT interface with optical outputs. This can be a game changer for anyone who wants the best quality audio possible. 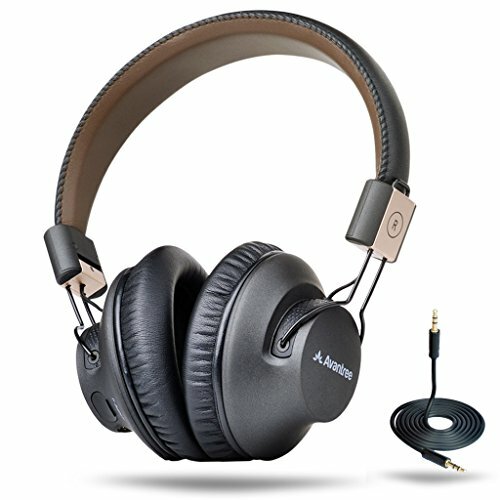 Bottom Line: A decent option for anyone looking for a pair of headphones that transmits RF and doesn't care about optical outputs. Keep in mind that you don't need to purchase any additional devices to make this work! These headphones are for anyone who is on a tight budget and wants a set of headphones that can be used for watching TV as well as daily life. The HX101 are a pretty standard set of Bluetooth, over-ear headphones. Remember, you're going to have to purchase a Bluetooth transmitter if your T.V. doesn't transmit directly to headphones. Many TVs do transmit Bluetooth, but they aren't always compatible with headphones. The onboard controls will be useful when using your portable device, but won't be compatible with your TV volume control. You're getting 30 hours of playback, which is very respectable for Bluetooth headphones these days. 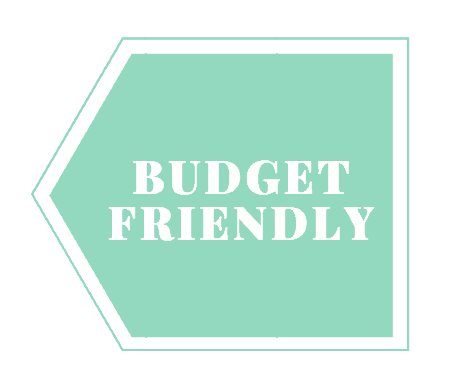 Bottom Line: A decent option for anyone on a budget. I recommend going with the RF headphones above if you have the means. LATEST BLUETOOTH 4.1 TECHNOLOGY: Quickly pairs for the first time and instantly connects to a wide range of Bluetooth-enabled devices. Fast, solid and long-range connection up to 30 feet. Compatible with NEW Samsung Galaxy S8, Galaxy S8+, Apple iPhone 7 & iPhone 7 Plus. Here are a few honorable mention we should be on the list but didn't make the top 5. Worth checking out! Next up: the Sony MDRRF985RK. 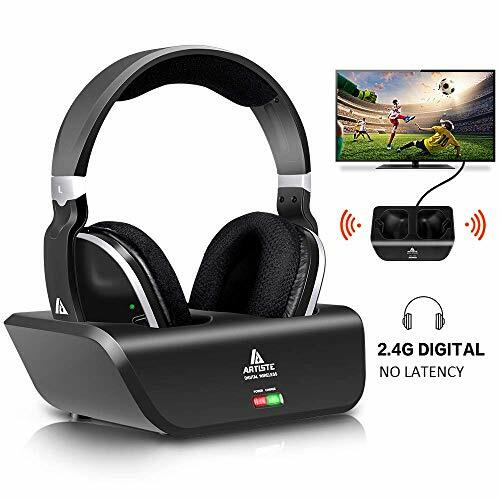 This is a decent option for a wireless TV headset. It uses RF transmission so latency isn't an issue. It also has a large 40mm driver. This allows it to have a larger frequency range resulting in a good balance of lows and highs. The padding is quite thick, making them very comfortable. The range isn't quite up to the Sennheisers on our list but will work well if you stay within sight of the transmitter. You also have the feature of adjusting the volume directly on the headset. Overall a good option. If you trust the Sony brand then these will do you well. Otherwise, the Sennheisers will be better. Bottom Line: This is a great offering for those on a tight budget. It can also be a great present for kids. If you are looking for great sound quality with good speakers, you'll want to skip this option. A great option! The sound quality is great for watching TV. It's detailed, balanced, with the perfect amount of bass response. They also do well in areas that need to be considered when choosing a headphone for TV. They are lightweight and have soft ear pads for comfort. You connect the RF transmitter to the audio output of you TV and it will transmit wireless without latency issues. 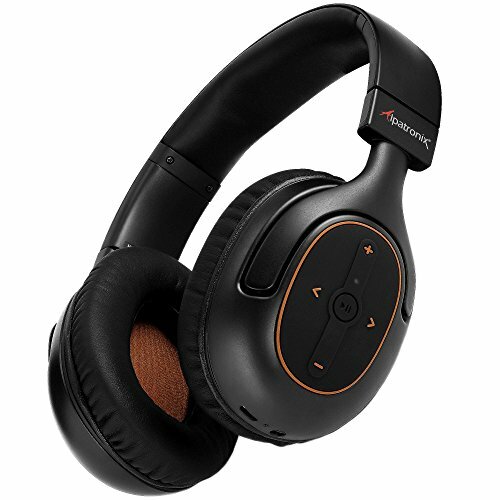 Latency can be an issue when using Bluetooth headsets if you don't have the aptX codec. These headphones also boast one of the longer lifetimes on our list with 20 hours of use before recharging. The headphones are recharged using the transmitting station. Bottom Line: The best option for those who don't want to spend over $200 on a good set of headphones. These wireless headphones have one of the best value for the price out of all the headphones we are considering. These are one of the few Bluetooth headphones that we would recommend for watching TV. These headphones support the aptX codec which is essential for preventing latency issues when watching TV. The also happen to have an exceptional battery life with a very comfortable design. The sound quality isn't mind blowing, but they will do a good job for watching TV. They tend to be a big bass heavy which can be perfect for watching any action movies. They are also very light - another key feature to look for in TV headphones. Be sure to check out of reviews of wireless transmitters to find the best Bluetooth transmitter for TV. To top it off, they are also very budget friendly. They perform much better than other headphones in the under $100 price point! Bottom Line: Comfortable, low-latency, durable design. Two thumbs up! Unfortunately no, trying to receive aptX using an Apple product with their W1 Bluetooth chip will only default to the lower-fidelity A2DP – which will likely result in latency issues. Thanks for the feedback. Any other solutions other than buying a new pair of headphones? As of right now, there is no way to output aptX and receive it with any Apple product that uses the W1 chip. I’m a little out of my depth on this issue, will the Sony WH-1000X M3 headphones work for TV aptX Bluetooth transmitters or will there still be lag? Yes, the WH-1000X M3 supports SBC, AAC, aptX, aptX HD, LDAC. So they will compatible with aptX transmitters. However, they won’t be compatible with aptX-Low Latency, which is the Bluetooth industry standard when it comes to headphones for T.V. You may still be able to get away with using them for T.V. as the latency is only 70 ms. Hope this helps!